The most recent episode of 60 Minutes caught my attention. 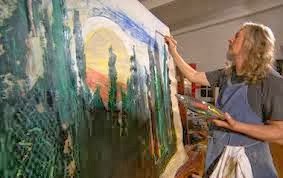 It was about an art forger named Wolfgang Bertracchi who paints in the style of well-known artists, not forging existing pieces, but creating new ones that the artist's might have painted if they were still alive. The focus of the television piece was on the crime: the way it was committed, the use of materials and the backstory, but what fascinates me more than the crime is the way it calls into question our notions of art and authenticity. Bertracchi's paintings hang in museums. They're good enough to fool art critics and collectors alike. And, most importantly, they are original works, painted in the style of the artist, but not copying another piece already in existence. There's no question Bertracchi's talented, genius isn't a stretch for someone who can successfully paint in the style of so many varied artists and pass those pieces off as the real thing. Because they're his own creation, they ARE the real thing. 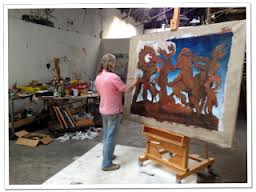 But the dividing line, in my mind, between original work and forgery is that he signed other artist's names. This makes for lots of tricky questions about the art world, specifically, and what we consider great art, in general. The 60 Minutes pieces made me think about J.K. Rowling's recent crime fiction venture, published under the pen name Robert Galbraith. 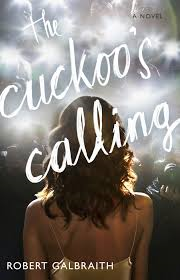 According to an article in the Huffington Post, The Cuckoo's Calling sold about 1500 copies until it's true authorship was revealed. Sales then suddenly jumped 150%. The book didn't suddenly get better. The only thing that changed was it became a name brand. Not so different than a painting that's branded by the name Rembrandt or Cezanne. Of course, J.K. Rowling already had the name to push her detective novel to higher sales. She worked hard for that name, earned it and it's hers to use. Both artists created original pieces of art. Both artists' works have been recognized as masterpieces, celebrated in museums, feted by publishing. The crucial difference is one artist created a legitimate name for herself that is now shorthand for "Really Amazing Book" while the other artist took advantage of established names that were previously established as shorthand for "Really Amazing Painting". This territory between Bertracchi's forgeries and Rowling's unveiling of her authorship highlights the way we are quick to use name brand artists to classify certain work as great while others slip by in virtual anonymity. Which brings me back to the nebulous nature of art. No matter how hard we try to define art, measure its circumference and calculate it's area with geometric precision, it's still undefinable. The same artist has the ability to create great pieces and pieces that, given a different provenance, might lurch along in the realm of middle-tier. The subtlety of artistic expression doesn't follow a corporate model, which is troublesome for the publishers and galleries that rely upon art to pay the bills. In the end, I believe it's the need to define and calculate artist's work that is partially responsible for Bertracchi's success. Instead of uncertainty, he sold a name brand and for an extended period of time, everyone bought it. In much the same way as Rowling's readership jumped the minute she revealed her authorship. It makes me wonder what we would discover if art wasn't pre-selected for us by the people who run museums, publishing houses and the entertainment industry. What kind of messy, unexpected creativity is out there right now, waiting to be discovered? The kind of thing that is undefinable, yet still undeniably great art. If art wasn't preselected for us. That's how I feel about today's popular music. The American public is spoon-fed what is popular. That's probably why I like a lot of European bands. Some of the most amazing and popular bands there are little-known here in the States because they don't conform. If art wasn't pre-selected for us I think there would be a lot less movie remakes and more original scripts seeing the light of day. I saw that 60 minutes too and my favorite part was the end when he said his only mistake was using the wrong Titanium White. :-) Loved him. What constitutes original art? That's a good question and one that holds true for any areas of art--fine art, writing, music, movies. One thing it does show is how important branding is. Handlers tend to spend more time on established brands than those new or not established. They want something they can sell. Is that spoon feeding consumers? Yeah. Still, the new and original manage to find their way into the public eye. Takes time and sometimes simply being in the right place at the right time. It's about the money. It involves the artist, the artist's agents, the artists publishers, the artist's backers. It's about the money. I, too, saw that segement of 60 Minutes! What amazing art capibility! I'm glad he's using his talents on his own projects now, and I wish him well. Alex, I love Spotify for this reason. Beylit, I don't want to see any more tired remakes of bad 80s sitcoms!! Rach, I know...he's a lesson not to get sloppy..even if you're not a criminal. Sia, I understand the corporate position because they have a bottom line. However, I think it's almost impossible to balance a bottom line against artistic expression, even though there are multiple industries built around the practice of doing exactly that. Barbara, me too. He's certainly built up a brand name (of sorts). Johanna, That's true, you can't balance it. And there are many originals out there, as good as or better, than what we actually see on the market. Unfortunately, the bottom line decides much about viability. Everything created today is all about conforming to corporate expectations if the artist wants to make a name or money. That's also true about discoveries of artists when they're dead and gone and not able to nay say the commercialism of their visions. It takes money to bring them to people's attention. Sad. IMO, examples like Bertracchi serve to expose the world of art critics as an entrenched case of "the emperor's new clothes". I think it helps to differentiate between the art world, and good art. The two are not synonymous. The art world is an industry, geared to sell what it believes it can sell. But when it comes to talking about what is good art, each work should stand on its own, and talent should be recognized for what it is and not have to pass some self-appointed gatekeeper for a stamp of approval. It's one thing to use a pen name, but I think that artist took it in another direction entirely; I also think that if I was half as good as he was, I'd want people to know it was me. Your post about brands made me think about designer labels on clothes and purses. I know someone who bought several purses that were each worth hundreds of dollars. I admit the purses were good quality, but she bought them solely because of the designer's name on them. I bought my last purse for a few bucks at Target. 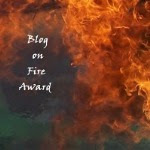 Trouble is - we're all in such a hurry these days, we want shortcuts. We don't want to spend time exploring new, obscure artists because that might take a little digging. We want a guaranteed, safe, already proven name! And we may just be missing out!